Home Blog And Wordpress 4.9.1 is here, so what’s new? And WordPress 4.9.1 is here, so what’s new? WordPress 4.9 was released just few weeks ago, and already this morning we are updated to 4.9.1. 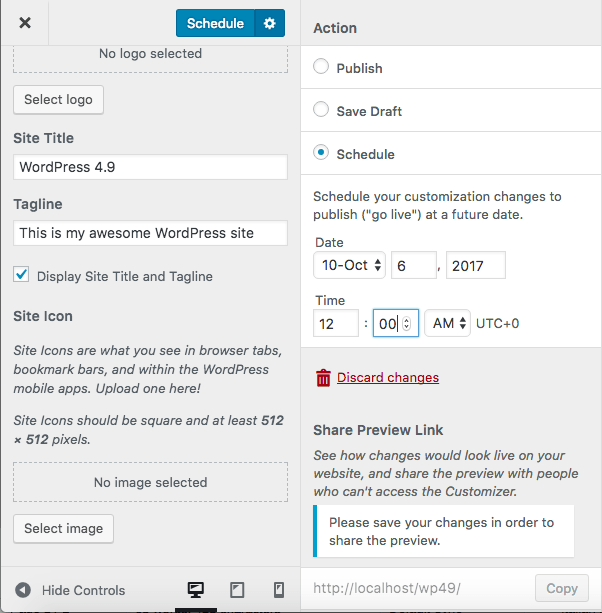 This is the 2nd, and the last major WordPress release of 2017 with some new features and enhancements of varying importance to most of us. With everyone getting excited (depending on who you’re taking to angry or happy!) over Gutenberg launching in WordPress 5.0 next year, it’s easy to forget that WordPress had another major version update that went live in the past month. Lets see if us Monkeys can run though quickly what’s new in WordPress 4.9.1 and which features you should (and probably won’t ever!) 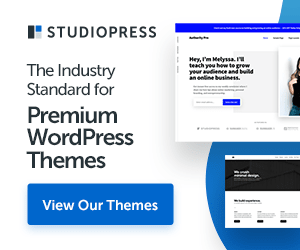 try after updating your website to WordPress 4.9. 4.9.1 is what is called a major WordPress release by the WPHive. If you are on a managed WordPress hosting service by one of the big hosts (and have ticked the right box) then you will probably just get an email saying that it has been done. For the rest of you, you will have to manually initiate the update in your Admin section. Important: As always, don’t forget to run a total WordPress backup before starting the update, they do go wrong, we know, we make a living out of fixing ’em! WordPress 4.9.1 brings quite a few big improvements to the WordPress customizer. Previewing and changing themes directly from customizer is now a heck of a lot more user friendly. 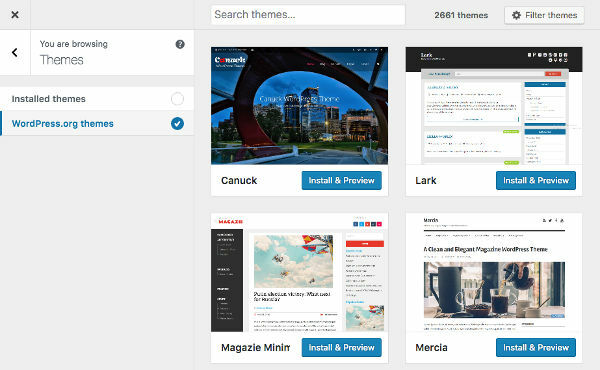 You can view all your installed themes in the preview panel and click on the live preview button to load them in customizer. WordPress 4.8 introduced to us some shiny new media widgets such as rich text, audio, image, and video. WordPress 4.9.1 builds more on that with the introduction of the new gallery widget. This new Gallery widget lets you create a native WordPress gallery and add it to your WordPress sidebar or any widget ready areas. The text widget in WordPress 4.8 came with plain text and HTML tabs, which was nice. But if you wanted to add an image in sidebar text widget, then you still had to write the HTML code = YEUGH! WordPress 4.9.1 has finally fixed this by adding the ‘Add Media’ button in the text widget 🙂 . Now you can simply select or upload an image directly inside the text widget. Another interesting aspect of the WordPress 4.9.1 Tipton update is that WordPress now warns users that try to edit their theme or plugins directly. WordPress will also warn users that try to edit their themes or plugins for errors before saving (to avoid white screen of death).